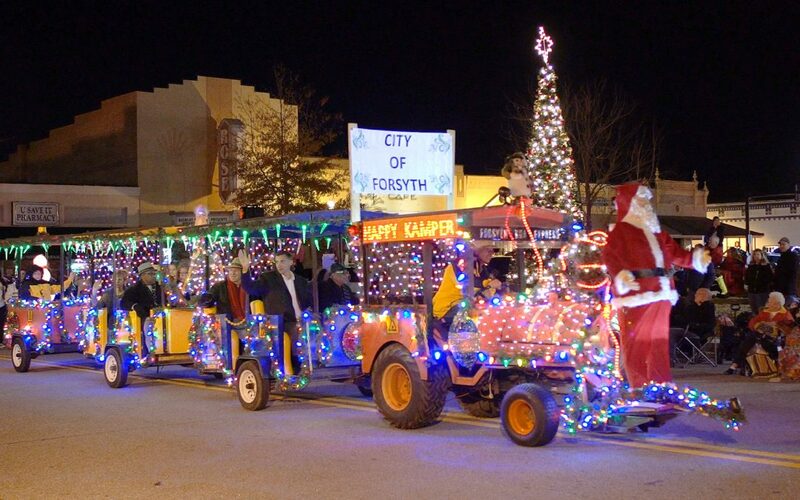 All decked out for the 2018 Hometown Holidays Parade in Forsyth, Georgia! It was a beautiful and festive night driving through the square! Enjoy the entire parade! Broilmaster has been manufacturing Premium Gas Grills since 1966. Today, Broilmaster offers models with multi-level cooking grids, separate burner controls, stainless steel griddles, and the company’s exclusive Smoker Shutter – which doubles the grill’s versatility by allowing backyard chefs to slow roast and smoke game, poultry, and other large cuts. simmer and reduction among your culinary vocabulary. For more than 30 years they have been building "America's Greatest Grill" in a small town in Georgia and quietly changing the way America grills. Simply put, The Holland Grill is easy to use and gives you moist, juicy, tender food each and every time you grill. All without the hassle of flareups. Find out why you should own a Holland Grill. Almost three decades ago in a welding shop in North Carolina, Brad Holland changed grilling forever. As with all grills, Brad struggled with the hassle of flare-up and how to keep food from catching fire. After 12 years of hard work and extensive testing Brad solved the problem. Grilling enthusiasts and professional caterers have been enjoying the "Holland System" in backyards, on patios, in campgrounds and tailgate parties since 1988. The "Holland System" is a patented, ingenious system of heat control guards and a sizzle tray that prevent flare-ups. Simply close the lid and cook by time. Flare-ups have been eliminated, and best of all, it's guaranteed! Grill, steam, or smoke and bake on your new Holland Grill today! heaters in sizes to warm almost any room. UltraSaver90Plus Power-Vented Wall Furnace - At 92% AFUE, the UltraSaver90Plus is the most efficient wall furnace available. This clean, modern cabinet fits any décor. Choose 35,000 or 17,500 Btu. efficient, vent-free heaters release nearly all of the available heat energy into the room. To ensure safe operation, all vent-free systems include an Oxygen Depletion Sensor (ODS) to automatically turn off the heater if room oxygen level drops to an unsafe level. Vent-free systems are designed to provide supplemental heat and may not be used as a primary heat source. exhaust flue products to the outdoors. The vent cap installs on the outside wall of the home. Because they do not draw your already-heated room air to support combustion, Direct-Vent systems are among the most efficient of the vented heaters. A Direct-Vent system may be installed as your home’s primary heating system. Mounts anywhere you have access to an existing flue or where you can install a vent run through the roof. A vented zone heating system makes an excellent replacement for an inefficient oil or wood stove. Empire manufactures White Mountain Hearth indoor and outdoor fireplaces, inserts, logs & burners, cast iron stoves, and mantels at the company’s two manufacturing facilities in Belleville, Illinois, just outside of St. Louis. The Breckenridge Vent-Free Fireboxes offer a variety of sizes and configurations. Available in louvered and flush front, the Breckenridge Deluxe and the deeper Premium models present the updated look of a traditional recirculating firebox. White Mountain Hearth offers mantels to customize the look of your firebox. Click here for more information on mantels.